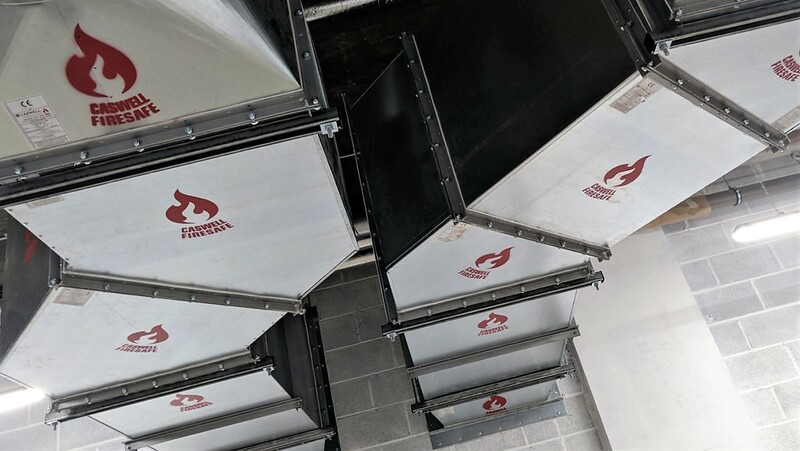 A CE-marked Smoke Extract system, in the form of CASWELL FIRESAFE® non-coated fire rated ductwork, has been installed at the new Unite Newgate Student Accommodation in the heart of Newcastle. 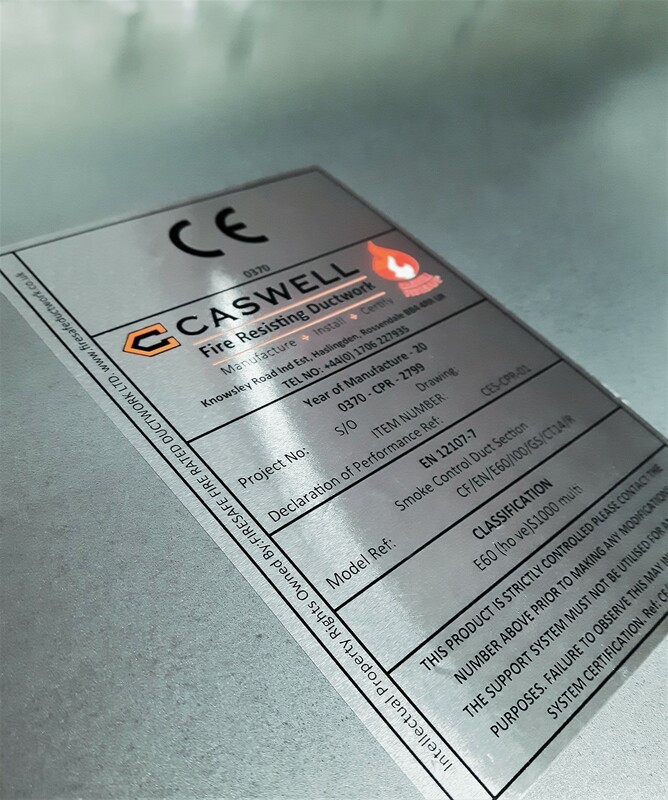 Successfully tested to EN1366-1 & 8 standards and CE-certified, this CASWELL FIRESAFE® Smoke Extract ductwork was manufactured by us at Caswell FRD, the specialist ductwork division of C.Caswell Engineering Services Limited; which, in turn, is an official Licensed Partner of Firesafe Fire Rated Ductwork Limited. By harnessing the combined knowledge and skills of these Caswell Group companies, we can offer a true ‘Turnkey’ solution based on proven designs, expert advice, precision manufacturing and fully-certified installation. Newgate Court houses some 575 students in Studios or en-suite bedrooms with shared kitchen & living space, over 6 floors. The property is superbly appointed and features a large Reception, media room, gym, laundry, lounges and other social spaces. This accommodation, by its nature, houses a large, ever-changing cohort of students from all over the world. Unfamiliar surroundings and the obvious risks of student life – not least the cooking risks associated with self-catering – make it essential that a proven, reliable smoke extract system is specified. This CASWELL FIRESAFE® system is designed to maximise precious ‘escape time’ and aid the safe egress of occupants via protected, smoke-free escape routes. Conversely, it allows fire-fighters safe access to facilitate evacuation and tackle a fire, should the worst happen. It is mandatory for ductwork manufacturers supplying the European construction industry to draw up a declaration of performance and apply a CE-mark to their products. The legislation can appear complex and difficult to navigate, which industry body ADCAS (Association of Ductwork Contractors & Allied Services) seeks to clarify for Building Engineering professionals but, in essence, Smoke Extract ductwork must be CE-marked to meet the requirements of the Construction Products Regulations. Life-safety demands the highest standards; and fire-resisting ductwork is a crucial building element which cannot be compromised. We’re here to assist you with your CE-marked ductwork manufacture and installation requirements…whenever you’re ready.